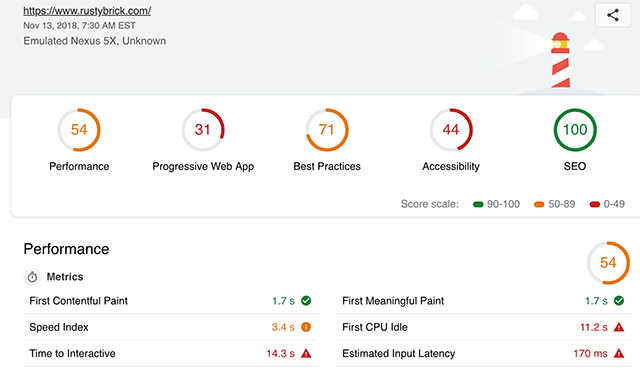 I plugged in my corporate site and you can see the score it got across performance, PWA, best practices, accessibility and SEO. I scored pretty well with SEO for some reason. Anyway, go ahead, play with it at https://web.dev/.